It’s a question we, at the Fetal Health Foundation (FHF), hear frequently. For some, the motivation to help comes because they have experienced a fetal syndrome; others reach out to show support for a friend or family member in the midst of a complicated pregnancy; and others have no association with fetal syndromes but have learned about the Foundation’s important work and want to assist. Whatever the motivation, there are any number of ways that you can help raise funds and awareness. Your contributions enable the Foundation to help families battling a fetal syndrome during pregnancy, serve as a liaison between families affected by various fetal syndromes and the medical teams providing care, and finance research into treating and curing intrauterine syndromes at fetal centers around the country. Planning a community event not only generates needed funds for the Foundation, but also helps to educate the public about fetal health syndromes. 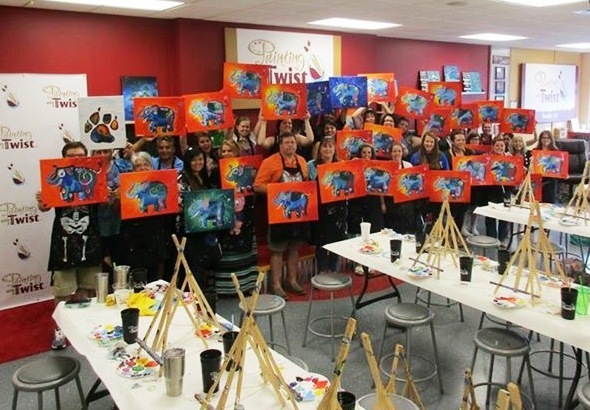 When a mother in South Carolina arranged a trolley tour of her hometown and a painting-with-a-purpose party, nearly 350 people participated. These events raised nearly $1,000 for FHF and also raised awareness about fetal health syndromes for each participant, as well as their family and friends. One of the easiest and most popular ways to help is by setting up a personal or team Fundraising page through CrowdRise. The Foundation chose the CrowdRise fundraising platform because it is easy to use, and allows supporter donations to go directly for FHF. 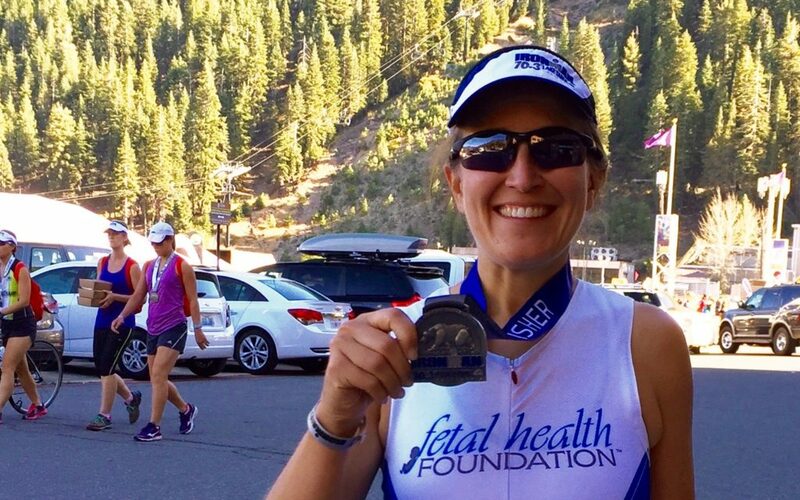 One mother set up a CrowdRise page and solicited contributions prior to participating in a half-Ironman. Another father uses his page to generate support during frequent mountain climbs in memory of his angel. Another simple yet meaningful idea is to request donations be made to the Foundation in lieu of gifts for birthdays or other special occasions. These gifts can be given online or collected and mailed to the Foundation. Learn more about these special gifts by contacting michelle@fetalhope.com. Linking up with a local restaurant or entertainment is another way to generate funds for FHF and raise awareness of fetal health syndromes. Whether the donation is a percentage of the day’s receipts or a special FHF entrance fee to a nightclub or event that includes numerous drawings for donated prizes, the dollars raised help the Foundation to provide hope for families battling a fetal syndrome. Charity golf tournaments, with a portion of the foursome fees going to FHF, are also a popular fundraiser. Adding a silent auction to the event helps even more. This same approach can be applied to an art auction or even a poker tournament. 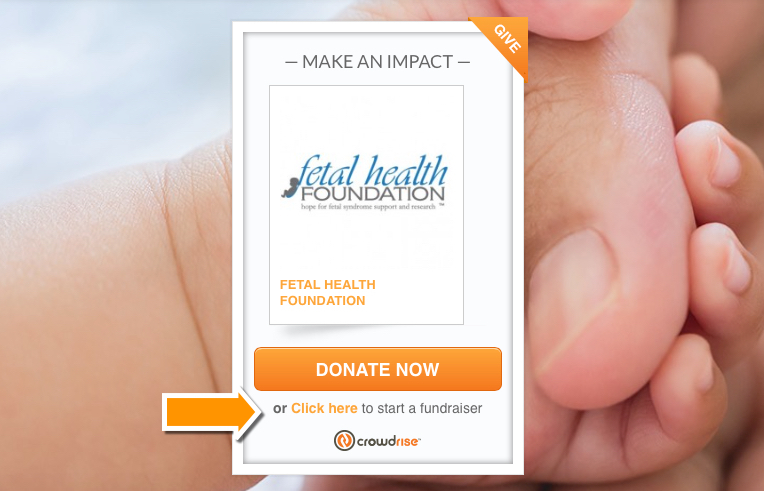 No matter which method is chosen for raising funds to contribute toward supporting the work of the Fetal Health Foundation, one component is always the same: each donation makes a difference. Read stories of families we’ve helped. Learn more about our grants and medical advisory board.